Hi friends! My "I'm Lovin' Homework" Blogging Mini-Series was such a hit this summer, I knew I wanted to do another mini-series and I also knew just the thing I wanted to blog about....Maximizing the Minutes in your classroom. 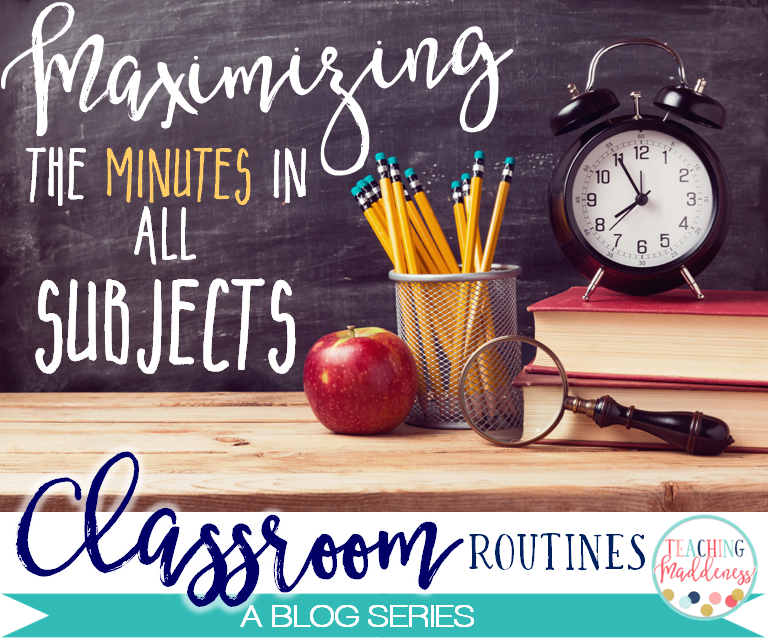 How many times have you thought to yourself, "My students need more practice with word problems, but I have no time to squeeze them in," or "I know my students need work on reading fluency, but a day here and there isn't going to be very beneficial" - well, I'm here to show you how I'm maximizing the minutes in my classroom to get the most out of a small amount of time. Let's face it. We have jam packed days. There are no more minutes to squeeze in an extra "block" of time or extra days into our units. We're at our limit! So, I had to come up with another plan. I challenged myself to give up the first 5-7 minutes of each subject daily to fit in those important concepts that students can always use more practice with and I'm already seeing the benefits. To do this, I use the first 5-minutes of my reading block daily. 5 minutes. That's it folks. Very realistic. 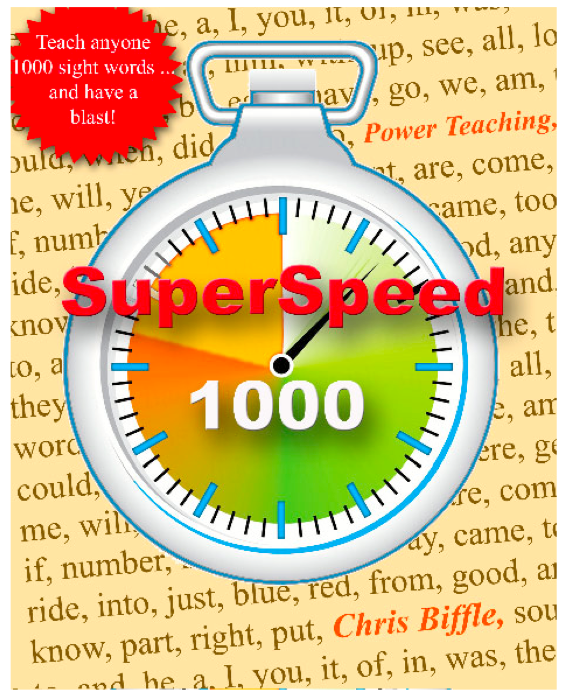 To reach goal #1, I use Whole Brain Teaching's Super Speed 1000. If you are not familiar with this FREE resource, hop over and grab it...it's FREE! Here's the gist of it. Students work in pairs and each pair is given a list of the most frequently used 1000 words in reading. These pairs are assigned with one stronger reader and one weaker reader. I have my readers sit side by side and use their reading fingers to track the words. My students know that when we use partners in my classroom, the partner whose birthday comes first in the year goes first. No arguing. That's the rule. That person starts by reading the first word and they alternate reading words for 1-minute. At the end of the minute, they mark their spot. Then, they switch and the other person starts reading first, alternating words. This second try ensures that both students read ALL of the words. At the end of this second minute, they see if they beat their first mark with an "all time best." If so, they give high-fives! That's it...easy peasy sight word fluency and it takes EXACTLY two-minutes per day. Here's a little video of two of my girls showing you how Super Speed 1000 works. They're not really partners in my classroom (just volunteering to be filmed here) and it's dismissal time, so sorry about the excess noise! My reading block begins right when we return from related arts, so students know to enter the classroom, grab their reading folders (which also contains their super speed 1000 page) and to head to their partner spot. Whatever spot partners chose on the first day become "their spots" - this eliminates the time it takes to find a spot every day. Super quick! Also in students' reading folders are the amazing little comprehension pages by Jodi Southard. The stories are short and quick to read and the skills are broken into short and sweet sections for five days. Perfect for my goals. I copied all of these at the beginning of the year to create folders so that students are set for the YEAR! After the two-minutes of Super Speed 1000, students work with their partners on the weekly story in their reading folders. 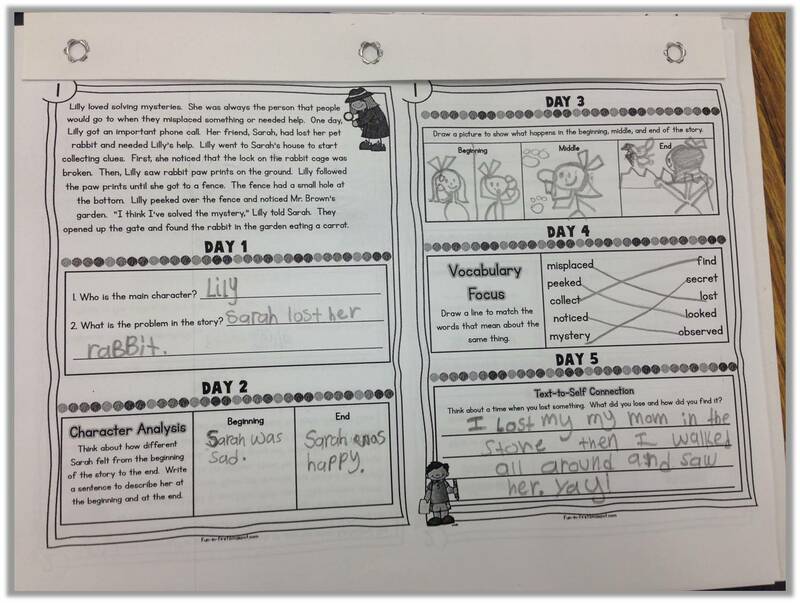 On Mondays, they read the story together and complete the Day 1 skill section. Then each of the following days, they reread (as needed) and complete that day's skill....I love that these address so many standards in such a short amount of time. This task takes 2-3 minutes for students to complete each day. That's a LOT packed into our first 5-minutes of our reading block. Maximizing our minutes to the fullest! Just imagine the impact of this DAILY practice throughout the year! Come back next week to see how I maximize the minutes in a different subject. I use the comprehension notebook too. The stories are great and perfect for a quick five minute lesson each day. This reminds me of that story about trying to fit coffee, sand, rice, and rocks into a jar. If you put the biggest things in first, and then add items in descending size order, they all fit. Life (and teaching) is like that. The most important things have to go first, otherwise there is no room for them in the end. I think it's awesome to begin with the activity! You inspired me. This is awesome! I only see students for about 30 minutes each day, so something like this would be a great use of my time! awesome! I have the comprehension pack already but I struggled to fit it in each week...it's pretty sporadic...this will help me push it in daily. And I'm going check out that sight word strategy now! Where on Whole Brain do I find a list of words for SuperSpeed? I'm lost and only find a Power point. You have been so helpful in helping me organize my year and being a better ELA teacher. It is my weakest subject for sure. I just downloaded the SuperSpeed 1000 but I thought that there would be a list of the words on a worksheet that the students could keep at their desks. Am I missing something? Should I just type all the words in columns for my students. Thanks for your help.